September’s full moon takes place on this autumn equinox. A special time, no? I think so. As evidenced by my first ever Full Moon Dreamboard shown above. 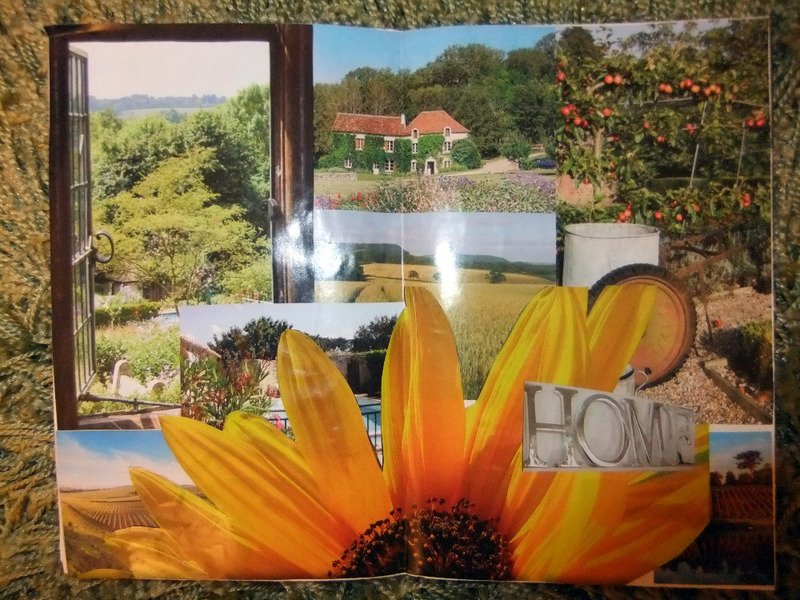 Not the first time I’ve had the intention to spend time making a dreamboard, certainly. And not the first time I’ve started. But this is the first time I’ve finished. For me, just for once, it doesn’t include a business plan. Not yet, anyway! Most intriguing about this board for me is the way the text, chosen independently – and seemingly at random – comes together in something quite sensible and recognisable. What a beautiful life you are creating, Julie. p.s. 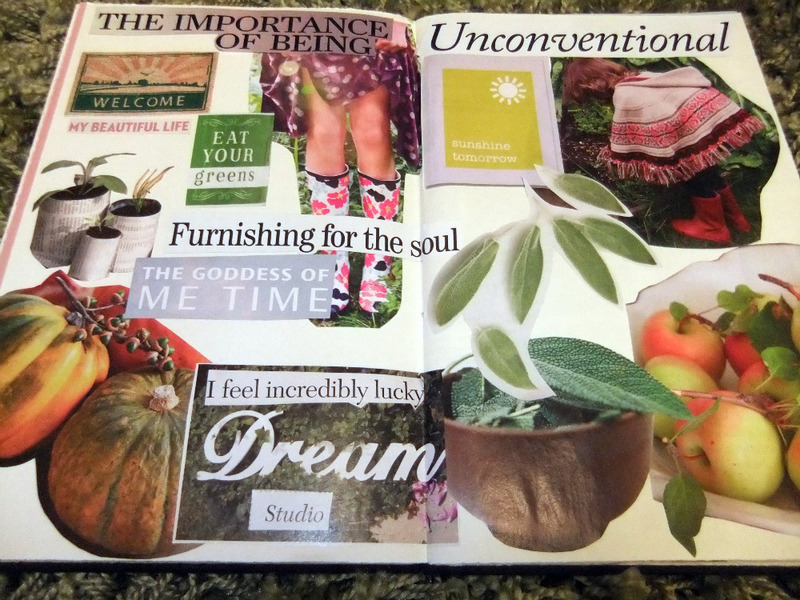 I’m using the journal created so beautifully by your mum. What a beautiful circle! What a great life you are creating. Previous post: Location Independent Tendencies? Get Started With Home Exchange!